When Jarrod Fredericksen graduated from Northern Arizona University in May 2005, he envisioned a career in media or media relations. Fredericksen, who earned a bachelor’s degree in advertising and public relations, had a friend who had been working for Pulte Homes for a year. He submitted a résumé at a job fair, and in August 2005, Fredericksen moved to Las Vegas to launch his career with the homebuilder. 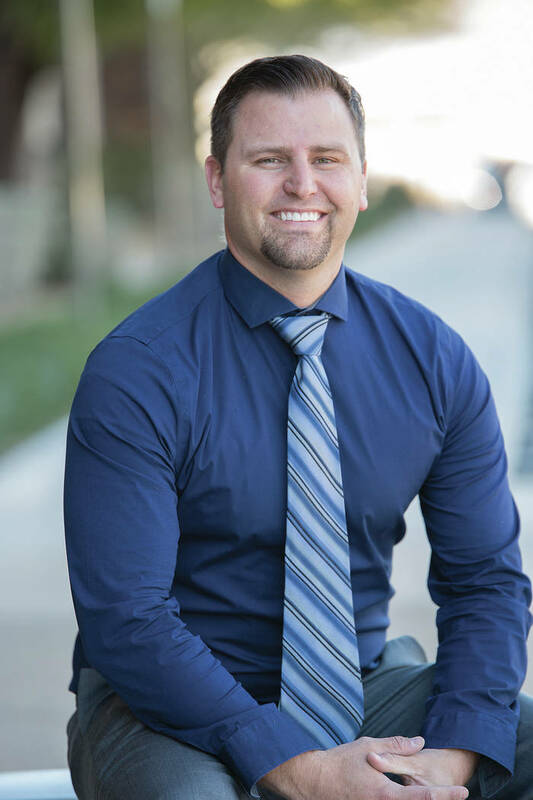 COURTESY Jarrod Fredericksen has been named Construction Superintendent of the Year at the Southern Nevada Home Builders Association's Silver Nuggets Awards April 1 ceremony. When Jarrod Fredericksen graduated from Northern Arizona University in May 2005, he envisioned a career in media or media relations. Fredericksen, who earned a bachelor’s degree in advertising and public relations, had a friend who had been working for Pulte Homes for a year. He submitted a résumé at a job fair, and in August 2005, Fredericksen moved to Las Vegas to launch his career with the homebuilder. Fredericksen started as a customer relations manager in 2005, providing customer and warranty services to buyers, and he held that position until May 2012, when he became a construction field manager with Pulte. The job calls for supervising the building process for 70-plus homes a year. That consists of running the day-to-day operations on the construction site, including scheduling, coordinating municipality inspections, quality control, budgeting, working with 35-plus trade partners and enforcing safety. In addition, working with customers and ensuring their satisfaction throughout the building process is a vital part of the job. In 2016, he opened two communities with Pulte Homes in Copper Ridge, and he closed 110 homes in Mateo. Now, Fredericksen has been named Construction Superintendent of the Year. In nominating Fredericksen for the award, Pulte touted his success for his professionalism and build-quality experience. At Mateo, he scored 100 percent on homeowner satisfaction surveys in 2016. His co-workers also cited his positive relationship with trade partners, municipalities and homebuyers, and his peers described his outlook on work as fun and contagious. As a former football player at Northern Arizona University and volunteer varsity coach at Desert Oasis High School, Fredericksen said he likes to use football as an analogy for how he approaches his career and treats a job site. The twists and turns of the homebuilding industry brought Fredericksen to his current position. Fredericksen has seen the whole gamut. When he started, Pulte was building about 5,000 homes a year, but the Great Recession and collapse in the housing market saw construction fall to a few hundred homes a year. Today, Pulte is back up to building around 600 homes a year. The Las Vegas office had about 1,000 during the height of the market, but once the building industry collapsed, there were fewer than 50 employees, and he was one of the last people in his department. Fredericksen, 34, and his wife, Ashley, have a 9-month-old-daughter, Greer.